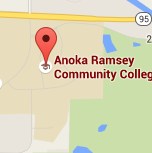 Welcome to Anoka-Ramsey’s Concurrent Enrollment program! Each high school will provide students with specific information regarding the Concurrent Enrollment Admissions process at their school, but we also want to provide some general information that is relevant for all students interested or enrolled in the Concurrent Enrollment program. There are numerous benefits to taking Concurrent Enrollment courses, including providing students better preparation for college and reducing the overall cost of a degree through the credits earned at Anoka-Ramsey. Students gain exposure to rigorous college-level coursework while staying at their high school. Students enrolled in Concurrent Enrollment courses can get a jump-start on their General Education requirements that are part of most Associate and Bachelor degree programs. Concurrent Enrollment students have greater flexibility when they transition to their next college or university. Students can earn a few credits or an entire Associate in Arts degree depending on the combination of Concurrent Enrollment, AP, and other college credit courses they enroll in at the high school. Tuition for a 3-credit class at Anoka-Ramsey costs, on average, $498 for tuition only (books not included). In the partnership with Anoka-Ramsey, students earn Anoka-Ramsey credits at no cost (to them). With the increase in rigor while still in high school, students are better able to transition to college after their high school graduation. By participating in Concurrent Enrollment courses, students may have the opportunity to complete college-level English and Math courses, which will help them avoid any developmental courses when they transition to college. In order to participate in Anoka-Ramsey Concurrent Enrollment courses, students must meet both the eligibility requirements for the Concurrent Enrollment program and any prerequisites for the specific courses they intend to take. Anoka-Ramsey’s Concurrent Enrollment eligibility follows the guidelines set forth by the Minnesota State’s PSEO policy. Students should work with their high school to determine if they are qualified for the program. Once students have been identified by the high school, Students will apply online and their high school will submit their qualifying materials (Transcripts). There are limited, space available options for 10th-grade students to participate in Concurrent Enrollment. To be eligible to participate, students must show that they rank in the upper 10% of their class, or have a nationally standardized test score which places them at the 90% or higher. Again, due to capacity, many of our partner high schools do not enroll 10th grade students. Students in the Early College programs may be eligible if they have successfully completed seminar coursework. Must be in the upper one-third of class or test score at or above the 70th percentile on any nationally standardized, norm-referenced test such as the ITED, CAT (Timed Version), Aspire, PLAN, ACT, PSAT or SAT. Juniors may also qualify with a High School GPA of 3.5 or higher. Students in the Early College programs may be eligible if they have successfully completed seminar coursework. Must be in the upper one-half of class or test score at or above 50th percentile on any nationally standardized, norm-referenced test such as the ITED, CAT (Timed Version), Aspire, PLAN, ACT, PSAT or SAT. Seniors may also qualify with a High School GPA of 3.0 or higher. Students in the Early College programs may be eligible if they have successfully completed seminar coursework. Concurrent Enrollment Registration and Applications are handled slightly differently at each school so it’s best to check with the high school counselor or dean with any questions. Generally, after students register for their classes at the high school for the next year, they will need to apply to Anoka-Ramsey online. Many schools schedule time in their computer labs to complete the application as a group, while others may require students to complete it on their own. After students have applied, the high school will supply Anoka-Ramsey with the qualifying documentation and final list of students. 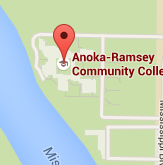 Anoka-Ramsey’s admissions office will then accept the qualified students. By the 5th day of classes, students will be registered for their classes either by registering online in their Concurrent Enrollment courses during the first week, or through class lists submitted by the high school. Concurrent Enrollment students must follow the same registration windows that all on campus students do. Add: Students may be added to a course through the 5th business day after the class has started. Students are responsible for either adding their course online, or working with their high school counselor/dean to be added to the course by the 5th day deadline. Drop: Students can drop a course before it starts, and through the 5th business day after the class has started. A drop will not be reflected on a student transcript, and it will be as though the student was never registered for the course. Students are responsible for either dropping their course online, or working with their high school counselor/dean to drop the course by the 5th day deadline. Withdraw: Students can withdraw starting the 6th day of the course, through 80% of the course length. A withdraw will stay on the student’s academic record, and can affect their Academic Standing with Anoka-Ramsey (see Satisfactory Academic Progress section). Students are responsible for either withdrawing from the course online, or filling out a withdraw form with their high school counselor/dean to withdraw by the specified date for their course. All students at Anoka-Ramsey must adhere to the Satisfactory Academic Progress policy. A student enrolled in a college course may qualify for accommodations if they have a documented disability. If a student has a documented disability, they must request their accommodations through the Office for Students with Disabilities at Anoka-Ramsey Community College. Many accommodations available in high school courses are available in college courses, but there is a difference in how accommodations are granted: The student needs to self-identify and request accommodations from the college. Any student interested in applying for accommodations in their college courses with Anoka-Ramsey will need to work with the Anoka-Ramsey Office for Students with Disabilities to submit the required application and documentation. This should be done in advance of the course so that all accommodations and resources are ready for the student on the first day of classes. Any accommodations granted after the start of the class will start immediately upon approval and will not apply retroactively. There may be modifications that Anoka-Ramsey cannot honor, as they would alter the course content significantly. Please discuss your options with your Counselor/Dean or Anoka-Ramsey to see if you and your guardians are comfortable with the difference in accommodations/modifications in college-level, Anoka-Ramsey courses. Questions on accommodations can be directed to the Anoka-Ramsey Office for Students with Disabilities (763-433-1350) or visit the Anoka-Ramsey Disability Services. Want to get an idea of how your Anoka-Ramsey credits will transfer to other schools? Many of the schools in Minnesota, and some schools in WI, SD, and ND use Transferology. If you don’t find information there, you may visit the website of the school you’re interested in transferring to. Anoka-Ramsey’s Academic Advisors are always available to meet with students if they have any questions regarding the transfer of their Concurrent Enrollment courses. Advisors can also discuss the best Concurrent Enrollment/AP/CLEP options for students for their desired degree/program. You can find more information about Academic Advising. In order to have your Anoka-Ramsey classes transferred to another College or University, you must request the transcript directly from Anoka-Ramsey. A high school transcript is not enough to award credit at another College or University.